Many Miracles from weeping tears statues, the miracles of the sun, Fr. Bruce’s [stigmata], healings, blessings, beautiful fragrances of roses, rosary’s turning colors, statues turning colors, facial expressions on statues changing, and many more supernatural things happened from November 1991 and continuing well into 1993, hundreds of statues mostly of the Blessed Virgin Mary, crucifixes and pictures wept at St. Elizabeth Ann Seton Church (SEAS) in Lake Ridge, Virginia. “You won’t believe what happened at the church today,” my wife, Pinkey, said to me in a kind of off-hand manner early in the evening on January 14, 1992. She seemed unusually subdued, but since she was (and is) the Youth Minister at Saint Elizabeth Ann Seton (SEAS) Catholic Church, there were days when the challenges of her youthful constituents and other stresses in her ministry took a heavy toll. So, I was prepared to believe anything. But never in my wildest dreams would I have predicted what she was about to reveal. “Father Jim has received the stigmata [bodily wounds replicating the five crucifixion wounds borne by Christ] and statues of the Blessed Virgin Mary are weeping at the church,” she informed me quietly. It wasn’t that I did not believe her, but she was right all the same. I was not prepared for that disclosure. In fact, I was thunderstruck. Father Jim Bruse, associate pastor, who was given a tee shirt by the SEAS youth group emblazoned “Father Flash” for the speed with which he often said Mass, singled out by God for an honor accorded Saint Francis of Assisi! It did not seem possible. Father Bruse, Fourth Degree Knight of Columbus, who seemed even younger than his 37 years. It couldn’t be. I pressed her for details. She had heard earlier that day from another staff member about the weeping and the stigmata and had immediately gone to the rectory to see Father Bruse. He explained to her that the weeping had begun with an Our Lady of Grace statue at his parents’ house in Stafford on Thanksgiving Day the previous November. The stigmata came a month later on the day after Christmas, again at his parents’ home, although the wounds did not fully appear on both sides of his wrists and in his side and feet until the days following. Whilehe patiently explained these events to Pinkey, more like a bystander himself than a center of divine attention, a small plastic Madonna statue which was resting on his credenza began to cry. Not that the small religious icon was wracked with sobbing, of course, but water flowed copiously from the eyes and down the cheeks so that “crying” seemed the only appropriate term to describe what was clearly impossible for an inanimate, anhydrous object. Since that momentous disclosure in mid-January 1992, I have seen approximately two dozen religious icons composed variously of plastic, metal, ceramic, plaster, porcelain and fiberglass weep in the same way. I have held small Madonna statues in my hands and watched their eyes fill with tears which then rolled down their cheeks and puddled at the bases of the figures. I have seen as many as six of these little statues weeping simultaneously. Blessed Virgin Mary, wept under the scrutiny of thousands of observers. The weeping has been captured on film by professional and amateur photographers alike, even showing up on the first television broadcast about it on March 6,1992. Other strange occurrences took place, too, such as statues and rosaries changing colors. 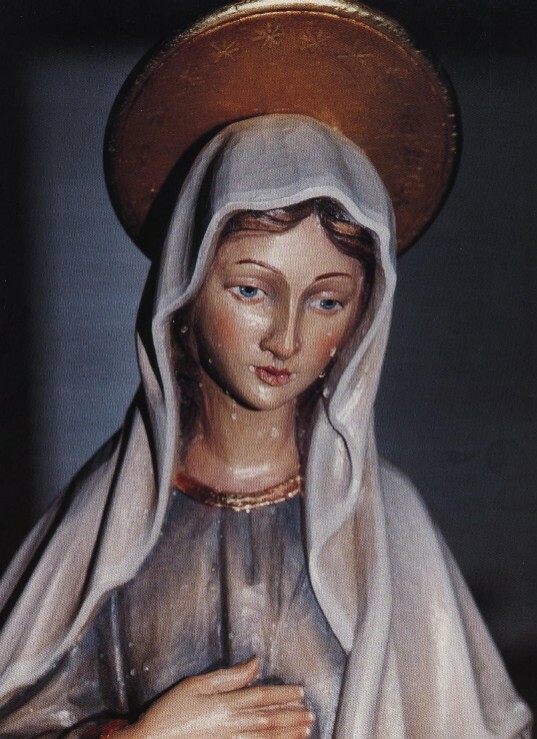 In one mystifying case, a small Fatima statue of Our Lady rotated its colors for nearly half an hour inside the SEAS church before 20-30 witnesses. This occurred at least twice more on successive Saturdays and had happened many times before that. Several parishioners reported seeing the “miracle of the sun,” as has occurred at Medjugorje and other apparition sites, describing it in much the same way. Other parishioners saw strange, sometimes rotating, colors in the sky. They emphatically insist these were not rainbows and bore no resemblance to any rainbow they had ever seen. There have been whispered rumors of dramatic physical healings, at least two of which have been well documented. This book presents a comprehensive report on these happenings which began less than seven years ago in the shadow of America’s capital. Saint Elizabeth Ann Seton Catholic Church is located in Lake Ridge, Virginia, a residential neighborhood which forms one of the many satellite communities supporting the employment needs of metropolitan Washington, DC. It is about 25 miles from the city, due south down that commuters’ nemesis: I-95. It is doubtful that there was any additional kind of inexplicable physical phenomena which took place here that is not reported in this book, although it is certain that there were many, many instances of similar occurrences which remain known only to those who experienced them plus a few confidantes or bystanders. Mary, that took place intensively and widely over a period of about six months and continued on a much more localized, low-key basis for more than a year afterward. Some persons claim to still see the “miracle of the sun” and there may be other strange things happening which are simply unreported. But for purposes of this book, the relevant period is from November l99l to May 1993. This is not the first demonstration of weeping statues, of course, nor has it been the last. This phenomenon has been widespread throughout the entire world in this century. In a chapter following the Journal, I will discuss some of those. But it seems safe to say that the quantity, variety and duration of weeping statues and other inexplicable phenomena which were associated with Father James Bruse were not only incomparably greater than any other similar display in history, but may actually have exceeded all of the others put together. 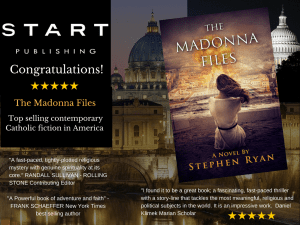 Add to that the dramatic supernatural event of the stigmata being imposed upon a Catholic priest–only the second time in history that has occurred–and one can only conclude that God sent a virtual clarion call to humanity, certainly to America. We will consider hereafter what that clarion call, delivered through the Mother of God, might mean; in fact, what it certainly must mean. This book, as I believe the weeping statues and other phenomena themselves were, is intended primarily for the skeptical, the worldly, the disbelieving, the doubtful, the uncomprehending and the searching. Of course, the message is vital for everyone and the faith enhancement is powerful even for those who are already devout. 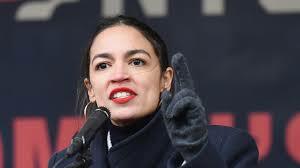 But, as Jesus said when questioned about his willingness to eat with tax collectors and other disreputables in his Jewish society, “People who are healthy do not need a doctor; sick people do. I have come to call sinners, not the self-righteous.” (Mk 2:17) In a subsequent chapter, I will speak directly to the various criticisms and challenges put forth against the weeping statues and other phenomena in Lake Ridge and elsewhere. But even those blessed with a strong Christian faith will find much here to ponder and appreciate. Sadly, as usual, those who will not look, shall not see, and those who refuse to listen, will not hear. Deadened hearts are not moved by tears, even tears of blood. Without question, the single most unfortunate aspect of this enormous favor from the Lord has been the misunderstanding which has arisen from the response of the bishop of the Diocese of Arlington, in whose jurisdiction most of it occurred. Father Bruse is a priest of the Arlington diocese. As you will discover from the Journal, Bishop John R. Keating first learned of the weeping statues and Father Bruse’s stigmata wounds on January 2, 1992, in a phone call from our pastor, Father Daniel Hamilton. The next day, Father Hamilton brought him the small (about 8″ high) St. Elizabeth Seton statue which had wept apparent blood, and was still stained with it, and the taller Fatima statue which had flooded Fr. Hamilton’s dresser with its tears on New Year’s eve. Bishop Keating locked the two little statues away and scheduled an early meeting with Father Bruse. He asked Father Bruse to be examined by his personal physician and a psychiatrist (see the Journal). In the meantime, the bishop generic ativan 1 mg counseled further observation and a continuation of the public silence. This was perplexing to many of us who knew about the events and it became an increasing source of frustration and confusion. Some of us wrote to Bishop Keating asking for his investigation. To my knowledge, no one received a reply to any of these letters. I know I did not. The bishop obviously believed that his approach of waiting and watching was the best response to the situation, but it is difficult to reconcile with an Ordinary’s duties under canon law. Father Michael Smith Foster, JCD, a canon law expert, has stated: “Because the bishop is responsible for public worship in the diocese, it is his responsibility to discern what is apparently miraculous and to approve of the gathering for public worship…. Should an apparently miraculous event occur, the people may petition the bishop to investigate what is happening. 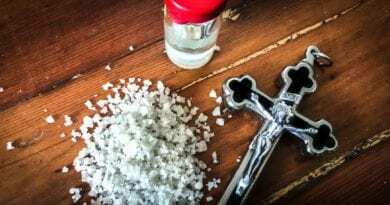 If the bishop determines that there is sufficient evidence for an investigation, he should begin a process which would lead to a decision concerning the supernatural character of the event…. Above all, for purposes of regulating the liturgical life of the diocese, the bishop’s responsibility is to assure that the people committed to his care are not being deceived and that something authentically miraculous has occurred, so others who wish may commemorate the sacred event in their worship. In exercising their episcopal oversight, bishops must be diligent in their search for the truth, open to the presence of the miraculous, and able to reject what is inauthentic or false. promptly. The day before the story broke, the Chancery stated its position on the matter in a formal declaration to Father Hamilton. The full statement is included at Appendix A, but what it said, in a nutshell, is that since there was no overt divine message being delivered, there was nothing to investigate. This was certainly a peculiar determination since only physical phenomena can be investigated. Reports of apparitions and locutions cannot be investigated. They can merely be assessed as to whether they are consistent with Catholic faith and morals. In fact, the validity of apparitions is almost always determined by the accompaniment of inexplicable physical signs, such as the mysterious spring and subsequent miraculous healings at Lourdes or the incredible spinning and falling sun presented to 70,000 people at Fatima. How else can God give these private revelations His seal of authenticity? Barring some internal contradiction or conflict with Catholic doctrine and traditions, only inexplicable, external evidence can provide the necessary supernatural endorsement which will permit the Church to authorize its priests and faithful to consider the event as a genuine private revelation. So the faithful in St. Elizabeth Ann Seton parish and elsewhere were left to muddle through on their own. From that moment forward, the diocesan Chancery would essentially refuse to acknowledge even that anything out of the ordinary was happening. Further, Fathers Hamilton and Bruse were told to conduct one press conference on March 12 and thereafter to say nothing else and do nothing further which would encourage the faithful to believe that anything miraculous was happening around Father Bruse. Of course, the phenomena went right on, increasing in scope and variety. The problem with such “stone-walling,” as many politicians and others have discovered, is that just as nature abhors a vacuum, so questions seek answers, whether official or unofficial, correct or incorrect. The thousands of people who saw statues weep at various times did not need an official declaration to confirm what their eyes told them. Those who trusted in the eyewitness testimony and photographs of others were also satisfied as to the obvious Source of what was happening around Father Bruse. The point here is that people expect an investigation of the inexplicable. And one which points to God as its cause produces an expectation in the faithful that the Church will represent them in ascertaining to the best of anyone’s ability whether God is manifesting Himself in some special way. He has done so countless times, either directly or through one of His saintly creations, especially the Blessed Virgin Mary, since Jesus Christ ascended to heaven. Even though these occasions add nothing to the deposit of Faith, they are continuing signs of God’s love for us and His desire to help us. Perhaps even more to the point, however, is that these occasions usually bring an important message, whether explicitly stated or not. Father Bruse and the weeping statues, etc., at Saint Elizabeth Ann Seton Catholic Church, etc., are no exception. Bishop Keating’s decision to ignore the events is a mystery, a very unfortunate one. It did not leave a neutral opinion in its wake. It left a negative implication because the common response to such matters is to want to find out what is happening and why. The bishop’s apparent disinterest suggested that he must know something negative about the cause of the phenomena. As for whether a message can be divined from silent, tearful statues of the Blessed Virgin Mary, we need look no further than the words of His Holiness John Paul II, the Vicar of Christ on earth: “The tears of the Madonna belong to the order of signs. 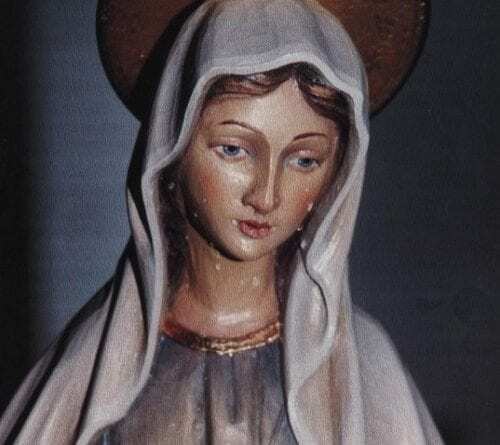 She is a mother crying when she sees her children threatened by a spiritual or physical evil.” As noted by Agostino Bono in his story in the Arlington Catholic Herald, “When tears shed by Marian images are declared miraculous by the church, they take on an almost cosmic significance. They show concern for events past and forewarn of dangers to come. 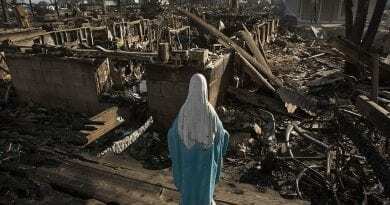 They are tears of prayer and hope.” But how can the origins be deemed miraculous if the responsible church official refuses to investigate and report? The contents of this book provide at least an unofficial report on a dramatic, astonishing and alarming communication from heaven. All names, dates and places identified are real. None of the photographs has been retouched in any way. Father Bruse at this writing is a fully accredited pastor at his own parish in the Arlington diocese, and much beloved by his parishioners. The material presented here is offered to you as accurately as my legal training, skills of expression, and powers of observation permit. Not once from the moment I learned about the statues crying and Father Bruse’s stigmata wounds until this moment has there been a hint of fraud or profiteering by any person even remotely connected with the events. This book is in every sense a gift to your soul. Your mother in heaven is crying for you. Come back to her Son. Dry her tears with prayers from your heart. Oh Blessed Mother, how I wish I could wipe away your tears. While your tears bring people to true belief, your smile is such a joy to behold! Forgive a sinner for forsaking you for things of this world. I love you and I am so sorry for your tears. Published 20 years ago… is there anything more current? What is happening today? Are statues still weeping? Is Father Jim Bruse, (Associate Pastor?) 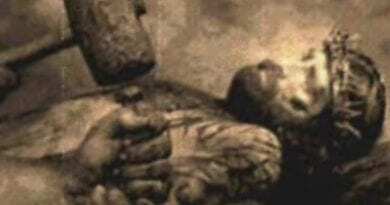 still receiving today, the stigmata wounds replicating the five crucifixion wounds of Christ? When was the article that Mystic Post published above, written by Jim Carney? I’m not saying, I don’t believe, however, I would like more current information, please. The Miracle of Mystic Post …Now with 35,000 “Apostles” No Money, No Staff, and a $199.99 Chromebook. Praise God, Praise Jesus, and Praise be the Queen of Peace…Thank you dear readers!!! You are the best and you are the hope of the world. 400,000 page views in February !!! Now Top 15 Catholic News site in USA. Powerful Interview with Ivan – “Some Apostles did not believe Jesus – why should people believe me, Ivan.” Talks about end-times – says with faith no one should worry. 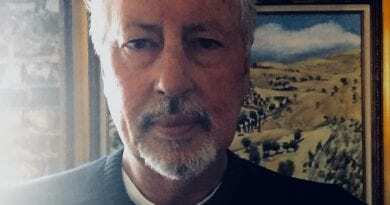 February 15, 2019 ryanmysticpost Comments Off on Powerful Interview with Ivan – “Some Apostles did not believe Jesus – why should people believe me, Ivan.” Talks about end-times – says with faith no one should worry. Powerful Miracle Photos from Medjugorje… 400,000 views. 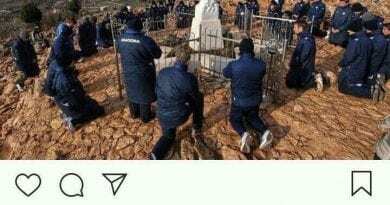 March 19, 2019 ryanmysticpost Comments Off on Powerful Miracle Photos from Medjugorje… 400,000 views.